My first thought at seeing this spider was how striking the banding on his legs was. As I took the photo I was thinking about how gracefully the legs are folded up. My brother shared a photo just the other day of a spider, and my mom said, "Your sister would just take a macro photo of it and try to convince us it was BEAUTIFUL!" I have to laugh because that is exactly what I would do! 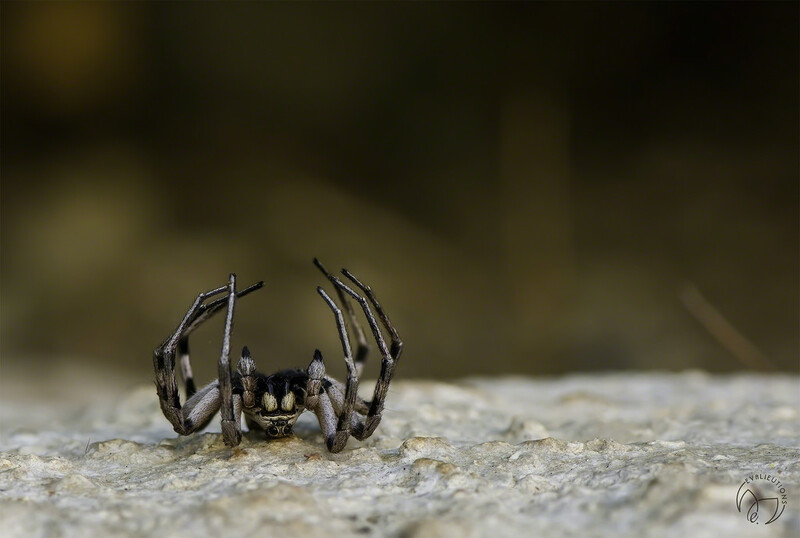 No, it is a beautiful wolf spider playing dead, hoping you will go away. Lovely capture! You have indeed made this beautiful. I love the colors, sharpness, and how well you've separated it from the background. Fave! Well there is definitely a beauty there, and you have the skill to bring out the best in everything. Looking most handsome despite his pose. Excellent shot. @hunnybee Thank you! I had no idea what kind of spider, but he was definitely dead, as he was found in the bottom of the dog's water dish. But...I learned the hard way not to assume an upside down, completely still spider is dead. I mistakenly buried our son's tarantula when it did that. Went to buy him a replacement, explained to the shopkeeper the circumstances and found out that she had been molting!! Do you know how horrible I felt?! @30pics4jackiesdiamond Thank you very much! LOL! I am sorry but this is the kind of spider I like...outside, not moving and upside down. YIKES!